A few weeks ago I had the pleasure of praying with a man called Danny at a conference I was painting at. 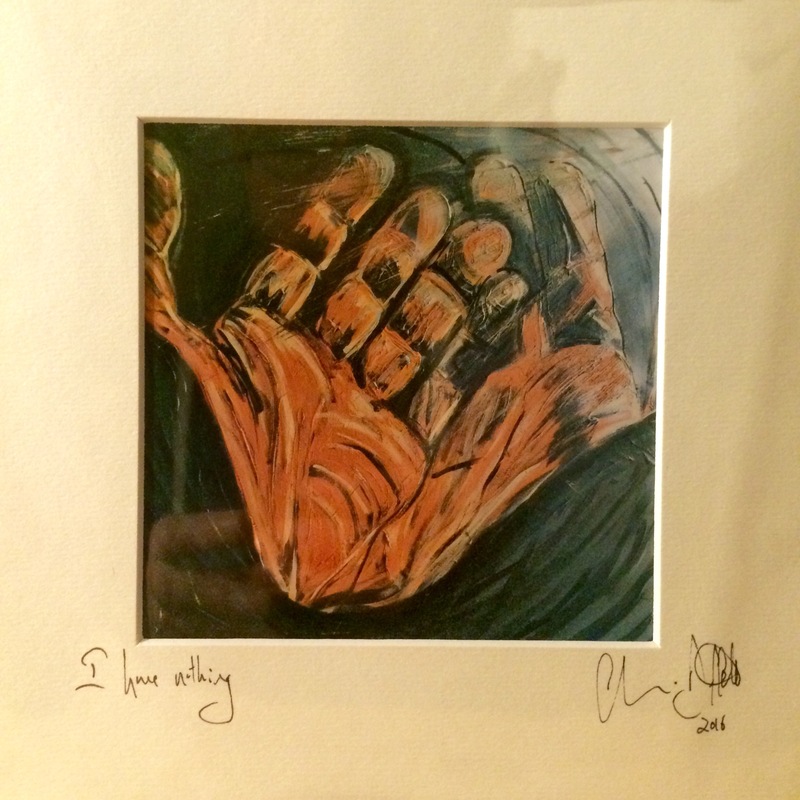 Afterwards I gave him a print of one of my paintings ‘I Have Nothing’ depicting empty hands. It’s a painting for when Philip (in my soon to be released novel) meets with Jesus who calls him to be an evangelist. What do you have when all that you are is stripped away? When instead of a son – you are an orphan? When instead of employed – you are redundant? When instead of respected – you feel despised? When instead of contentment – you feel empty? When instead of peace – you feel anxiety? When instead of healthy – you feel broken? When instead of alive – you feel dead? Who are you when the phone stops ringing? Who are you when you lose status – a nobody? A refugee of your old life – homeless? What do you feel when your community rejects you? And when you pray there is booming silence? And not what I can, or cannot, do.